Diesel Generator Buyers Guide: Which Diesel Generator Should I Order? Diesel Generator Direct offers a broad range of diesel generators, and each is suited to a slightly different type of commercial or domestic application. Choosing the right one for you and your home or business might seem a bit overwhelming, so we’ve put together this guide to help you narrow the possibilities down to a few good choices. Our friendly, helpful staff can then help you make the final decision. There are four big determinations you need to make to narrow the field down to a few really good possibilities. 1) Do you need a domestic or professional-grade genset? Some gensets are better suited to supply power to a single home or for leisure/hobby applications. 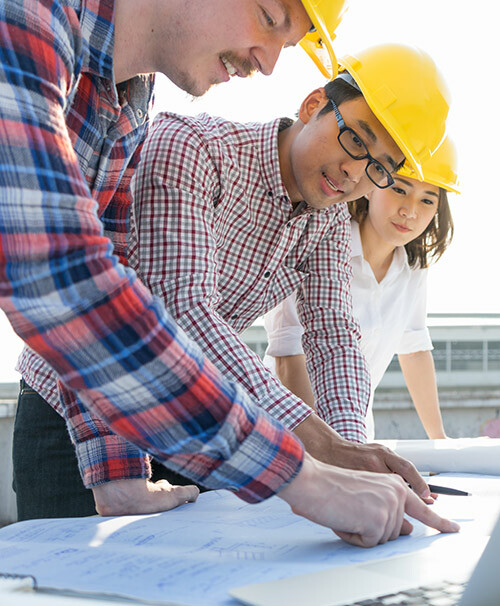 Others are designed for commercial use or more extensive workshops. 2) Will you need a primary power generator, or a standby generator? A primary power genset is intended to be used more or less constantly, whilst a standby genset is intended to ‘kick in’ quickly in the event of a power cut or brownout. 3) Will you need an inverter? If you’ll be running sensitive devices like computers or televisions directly off the genset, you’ll need an inverter generator. 4) How much power do you need? There is a detailed guide to calculating your power needs below. Always make sure to allow a safety margin! TLDR: using a domestic grade genset for commercial purposes will probably void the warranty. The basic technology behind our professional and domestic lines of gensets are not all that different. The main difference is really the type of use they are intended for, and the terms of their warranties. Domestic generators are designed to be used for back-up power during storms or power line maintenance, for providing small quantities of easily portable power – say for power tools, camping or other hobby use. They tend to be light, portable, durable and usually only boast modest fuel capacities. They are perfect for camping or garden use, or to keep the lights on when the national grid can’t, but you wouldn’t use one to run heavy equipment or a whole store. 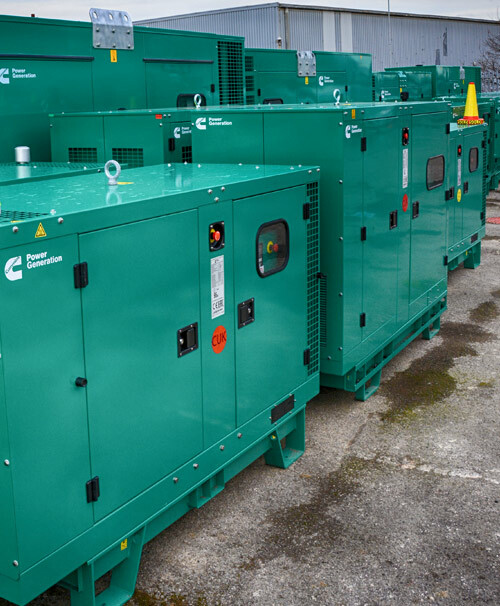 If you plan to use a genset commercially, or to rely on it for power pretty much every day in any capacity, you really need a professional grade genset. They also come with long-term, commercial use warranties, so you know you can rely on them to keep your business running or for any truly important purpose. We also offer a series of midrange professional grade gensets which feature full commercial warranties, but are at a lower price point and better suited for backup power or more sporadic commercial use. Better still, professional grade gensets come in all shapes and sizes. That means you won’t need something that could power the whole neighbourhood if you only have to supply a few hundred watts in a very reliable, steady fashion. TLDR: A standby generator is ideal for back-up or emergency power, but should not be used constantly for days at a time. Work or play, at home, at the office or on a worksite, there is nothing more disruptive, frustrating, and occasionally expensive as an unexpected power cut. Business and residential customers all over the UK are discovering that the nation’s aging power grid was developing problems even before the shift to more ecologically friendly yet highly unreliable renewable energy sources. To domestic customers, this might not mean more than inconvenience and an argument over whether you actually own candles anymore. At work, though, these sudden cuts can damage machinery, destroy data and leave your entire workforce standing around for hours at full pay but zero productivity. The solution more and more people are relying on at home and at work is a backup power genset. A backup power installation requires 3-4 pieces. A manual transfer switch (MTS) does just what it says on the tin – you have to switch your home or business’ power over to the standby generator manually by pressing a button. The actual control is easy to install nearly anywhere, so you won’t necessarily have to go out into the shed to turn on your genset. An Automatic Transfer Switch (ATS) is much easier to use. The ATS is computerised, and can sense when the power levels supplied by the grid drop to unacceptable levels or cut out entirely. It then sends the command to start up the genset on its own, any time of the day or night. Within a few seconds, the lights come back on and you can carry on just as before. Of course, when the grid once again sends power your way reliably, the ATS switched you back to the power grid and shuts off the genset. Needless to say, a standby genset can salvage the day’s productivity at nearly any kind of commercial or industrial site. Even at home, though, there is more at stake than the potential of missing the footie. Depending on your homeowner’s insurance provider, a standby genset can reduce your insurance rates. It is also likely to increase the value of your home even if you never use it. TLDR: Assume you need an inverter genset, unless you are dead certain that you don’t. These days it is harder to find an electrical device without a microprocessor than it is to find one with. Computers of course, but also phones, gaming consoles, your TV and even the humble blender now usually count as ‘sensitive equipment’, and require a very specific, steady sort of power. That means that you should not simply run them off generator power unless it goes through an inverter first. At its simplest level, an inverter changes the DC output of the generator to the AC current that the national grid provides. A high quality inverter like the kind we use also makes sure the AC power is very ‘clean’ – meaning that it has pure, steady sine waves and little or no ‘noise’. Simply put, if you’re running nothing more complicated than a space heater or your hoarded incandescent light bulbs, you don’t need an inverter generator. For anything else, you probably do. If you can use the generated DC power on an industrial scale, you probably already know it. Wattage - how much power capacity will you need? TLDR: The wattage of your genset needs to be at least 20% greater than the total starting wattage requirements of all of the equipment that will ever be running at once. All of the gensets we sell have specific power ratings, in watts (kilowatts, megawatts, etc.). To determine how much capacity you need, you start by making a list of all of the various pieces of electrical equipment you might need to run at one time. This might be your camping (or glamping, I suppose) gear for a portable hobby generator, but it might be a really extensive spreadsheet for a commercial or industrial operation. Most equipment has its wattage requirements printed on the device itself. For others you might have to hunt down the manual it came with, or check the manufacturer’ website. It is important that if any of your equipment has a ‘starting wattage’ as well as a ‘running wattage’ requirement that you make this calculation using their starting wattage. Anything with an electric motor will require substantially more power in the few seconds when it starts and gets up to speed than it will generally. If you know a piece of equipment has a large electric motor and must have a starting wattage that isn’t listed, you can get very close by multiplying its running wattage by three. Just in case you start more than one piece up at once (it will happen), you’ll need to provide enough power for those starting wattage consumptions. Then you add the wattage requirements together. Remember, you only need to know the highest total wattage of the equipment you’ll be running at the same time. If t pieces of equipment will never be used concurrently, don’t add them together. If you only run one piece at a time, only look at the single highest wattage requirement. If your genset provides more than that total (by, say 20% for safety), you’ll be fine. Say you need to run a 100W work light and a 650W drill off a portable diesel genset. The drill’s starting wattage is actually 1950W (650*3), and the light is 100W, totalling 2050W. Multiply by 1.2 (20% headroom) for 2460W, or 2.5kW. You need a 2.5 kW genset to start the drill whilst the light is on. This is an approximate guide only. Wattages can vary massively, so it's always worth looking up your specific piece of equipment. *These items will normally have a starting wattage so remember to multiply the wattage by 3. If you’re not technically trained, you might not be able to look at a generator’s power rating and do the math in your head to see what you need. To make it worse, not all generators use the same terms. They do, though, all convey the same kind of information. Here is now to decipher it all. A watt (abbreviated W) is just a watt. A kilowatt (kW) id 1,000 watts. A megawatt (mW) is 1,000,000 watts, or 1,000 kilowatts. A kilo-volt-amp (kVA) is 0.8 (four fifths) of a kilowatt. A kilowatt is also, therefore, 1.25 kVA. So, if you need to provide 5000 watts of power (including your safety margin), you need a genset that is rated for either 5 kW (or more), or 6.25 kVA (or more). That’s really all there is to it. Get a good idea of how you’ll be using the genset, how much power you’ll need, and what type of power your equipment uses. Then give us a call at +44 (0) 845 838 8563, and we’ll help you pick the perfect model. Single or Three phase, open or silent, cheap generators to high-end top spec gensets, Diesel Generator Direct has the solution for you!